In order to create a Membership, it’s useful to set up your Areas and Destinations first. Membership uses Areas and Destinations to direct Members to the appropriate areas in your premises and controls access to the locations or facilities that you use to sell memberships and up-sell memberships levels. You can find our guide for creating Areas and Destinations here. Before you can add members, you need to create your membership types which differ based on the stipulations you set such as access areas and membership period. 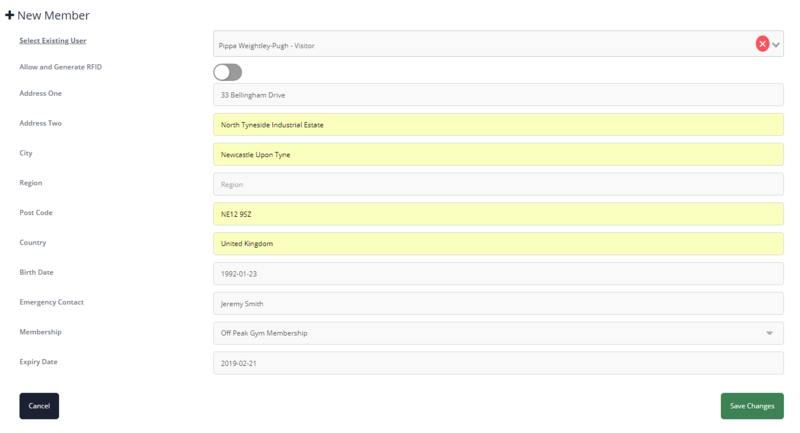 From the dashboard, select ‘Membership List’ underneath Membership Module from the navigation on the left-hand side of your screen. You’ll now be viewing the membership list. This is a summary of all the memberships that you’ve created. From here you can duplicate, edit and delete active memberships. Note – because many memberships are broadly similar with small changes for up-selling, you might find it easier to duplicate memberships rather than create each one from scratch. Click on the ‘Add New’ button on the right-hand side. – Membership Name: Enter a name for your membership type. – Membership Mode: When creating memberships, you may wish to create a standard single user membership, or a multi-user membership for family memberships or corporate team memberships for example. Check the box to select ‘Single Mode’ or ‘Multi-Member Mode’. In Multi-Member mode you then enter a number in the box to dictate how many secondary members are allowed within the multi-user membership. For example, if your family gym membership allows 4 people, you would enter 3 in the box for the number of secondary members permitted on top of the main user. – Allow Accompanying Guests: Here you can check the box to allow users of this membership to bring guests. This can be incredibly useful in order to promote your facilities to new prospects and capture guest information to feed into your marketing list to increase membership numbers. You can choose how many guests this member is allowed to bring over the course of their membership by entering the number into ‘ Guests Per Member’ box . You’re also able to set how many times the guest can use the membership facility by entering the appropriate number into the ‘ Number Of Occurrences Per Guest’ box. – Restrictions: In this section you can restrict by days, times or dates. This is useful to create memberships such as peak and off-peak. Note – The restriction is placed on the day you select. If for example you want to restrict access on a Monday, you’d select ‘Monday’ as the restriction, rather than ticking to allow every other day. – Destinations: Here you’ll find each of your areas with their own drop-down. Under each area, check the boxes to allow access to locations. With each checkbox you’ll see an occurrences box. In this box you can enter a specific number of occurrences if you want to limit the number of visits to a location per member. If you don’t want to set any limits, just tick the ‘No Limits’ checkbox. From the dashboard, select ‘Members List’ underneath Membership Module from the navigation on the left-hand side of your screen. You’ll now be viewing the list of all members. 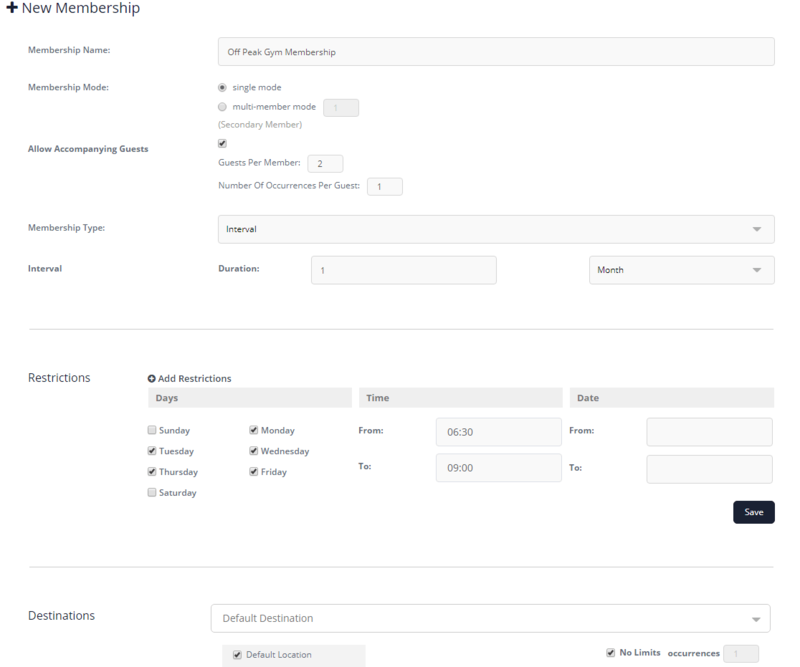 From here you apply certain filters such as membership type, status and expiry to find specific groups of members. You can also print the members list. Complete their profile. Personal data will not appear on the kiosk, but you may need to issue letters or get in touch with an emergency contact, so this information is safely stored on the user’s profile, accessible only by admin level users. – Allow and Generate RFID: Move the toggle to green to allow RFID sign-in for this user. The user will get an RFID pin that they can use to match a door card or fob to the VisiPoint system. This allows them to swipe their access card or fob on the VisiPoint device to sign in. – Membership: Select the Membership type for the user. – Expiry Date: This will auto-populate based upon your membership choice, but you can also edit the expiry date for special cases. Members of Single Mode memberships and members who were responsible for signing up for Multi-Member Mode memberships will be classified as Primary members in VisiPoint. For multi-member memberships, for example a family membership, you can add the secondary members to the membership from the VisiPoint dashboard. Select ‘Members List’ from the left hand side menu, under Membership Module. Find the primary member for the membership on your list. 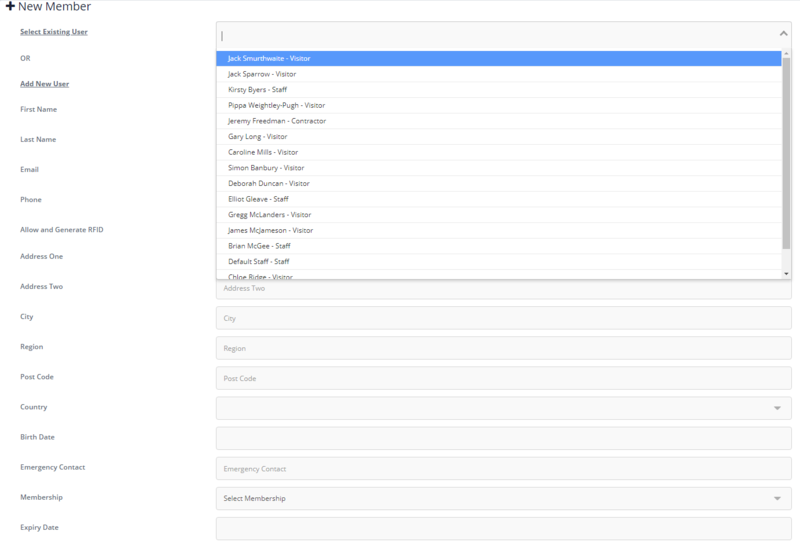 You can filter the member types by using the ‘All Types’ drop-down and selecting ‘Primary’. Click the user’s name and you’ll be taken to their user profile. At the bottom of the user profile, click the ‘Edit Member Information’ button. Enter their personal details and hit ‘Save’. Note: Because Secondary members are tied to the primary member, they share a membership number. Devices in Register Mode, allow guests to register themselves by pressing the Guest button and following the sign-in process. You can activate Register Mode in your Area settings. Remember to also configure your device layout in Kiosk Layout by selecting to display the Guest button. You’ll find email settings under Membership Module on the left-hand navigation menu. Within email settings you can easily toggle a number of settings to YES or NO. These settings control the emails notifications that go to the admin and receptionist email addresses (from the general settings) and the member themselves. You can customise the content of the emails that are automatically generated by VisiPoint. Click ‘Email Templates’ under Membership Module on the left-hand navigation of the VisiPoint dashboard. You will see a list of the available email templates, one for each of the email settings. You can select to show to preview the email or edit to be taken to the editor. Got further questions or need a helping hand? You can speak to our dedicated support team on +44 (0) 191 341 0016.